To mark the launch of CCM Hockey’s new hockey stick, Cossette and Nova Film created video content featuring a musical performance by San Jose Sharks defenceman Brent Burns. With the help of a Super Tacks AS1 hockey stick, Burns interprets Johann Strauss’s Blue Danube, accompanied by the San Antonio Symphony. NHL athletes are true artists when it comes to their sport. 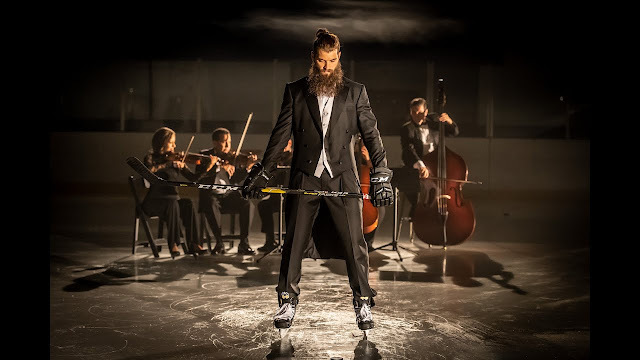 To demonstrate the shot power and accuracy that a high-level player like Brent Burns can achieve with a CCM Hockey stick, Cossette chose a setting and tone reminiscent of the classical arts scene. Of note is that, due to Burns’s busy schedule, the spot was shot in less than 90 minutes—a tall order in terms of production that also demanded perfect precision from both agency and athlete. As part of the brand’s integrated content strategy, the video has been appearing as pre-roll and on social media in Canada and the U.S. for a few weeks now. What’s more, it’s even been shared on the NHL’s Twitter feed. The video has also been airing on television networks throughout Québec since September 22nd.